In 1621, Father de Bérulle built up a congregation in the Oratoire and started building the “chapelle de l’Oratoire”. Jaques Lemercier (1585-1654) drew up the plans. The foundation stone was laid on the 22nd September 1621. Louis XIII conceived an elaborate architectural plan for the Louvre, extending one wing as far as the rue Saint-Honoré, so the “chapelle” had to stand at an angle to the rue de l’Oratoire. In 1625 all building ceased for a period of 10 years. In 1642 and 1643 the funerals were held at the Oratoire of cardinal Richelieu, Louis XVIII and Queen Anne of Austria in 1666, in the presence of Mazarin. It was only in 1740 that the nave was finished and the great veneer door in 1745. In 1793 the church was ransacked, looted and became a lecture hall, a study room and a place where theatrical scenery was stored. In 1811, Napoleon I gave the Oratoire to the protestants so they could hold reformed services there. The protestants completely changed the interior of the building, adding wood panels which had come from the former Saint-Louis du Louvre, which had been given to the protestants in 1790 and then demolished in 1811. The first pastor of the Oratoire was Paul-Henri Marron (1754-1832), who had previously been chaplain at the Dutch embassy. It is the largest reformed temple in Paris. This temple used to be a chapel of the convent called Visitation or Visitandines, built by François Mansart between 1632 and 1634. Saint Vincent-de-Paul was its spiritual head for 28 years. In 1790, it became national property : the convent and the chapel had all their furniture removed and it became a warehouse in which books seized from immigrants were stored. 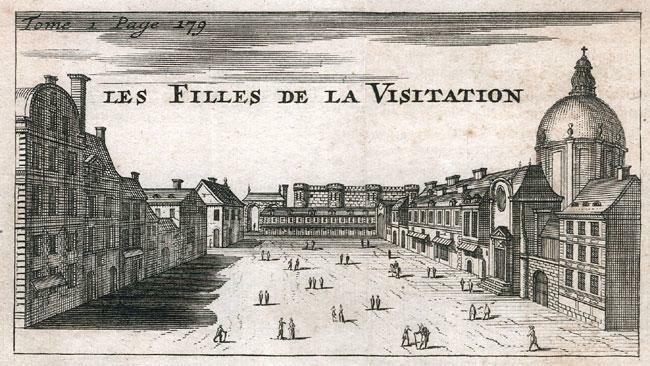 In 1792, the Visitandines were forced to leave their convent. The association “Friends of the Laws” met in the chapel and also a revolutionary club, organized by Théroigne de Méricourt. 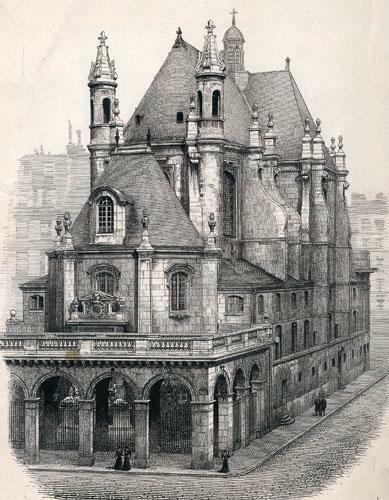 In 1796 the building was sold and then destroyed, except for the Chapelle, which was given to the protestants by Bonaparte in 1803. All that remains of the revolutionary period is a curious Phrygien hat placed above one of the doors. The coat of arms of the Coulanges family, patrons of the Visitandines, can still be seen in a chapel. In the basement there is a beautiful vaulted crypt. In 1830, the national funeral of Benjamin Constant, Mme de Stael’s friend, took place there. This Church is also called the Marais Parish.